The following content can be found in the introduction notes of the ESV Literary Study Bible. The Bible is not a totally unique book. In general, its literary forms function in the same way that these forms function beyond the Bible. A story is a story, whether in the Bible or beyond it. A metaphor is a metaphor. 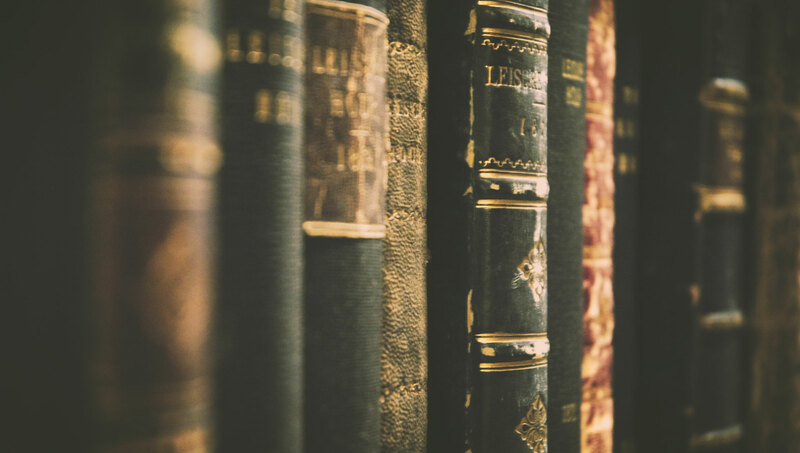 Nonetheless, it is possible to make generalizations about characteristic literary features of the Bible, with no implication that these features do not exist elsewhere. Below are ten literary qualities or preferred literary techniques that we often find in the Bible. Although the overall genre of the Bible is the anthology of individual books and passages, the Bible possesses a unity far beyond that of other literary anthologies. The technical term for a unifying superstructure such as we find in the Bible is metanarrative (big or overarching story). In the Bible, the metanarrative is the story of salvation history—the events by which God worked out his plan to redeem humanity and the creation after they fell from original innocence. This story of salvation history is Christocentric in the sense that it focuses ultimately on the substitutionary sacrifice and atonement of Christ on the cross and his resurrection from death. The unifying story line of the Bible is a U-shaped story that moves from the creation of a perfect world, through the fall of that world into sin, then through fallen human history as it slowly and painfully makes its way toward consummation and arrives at the final destruction of evil and the eternal triumph of good. All stories have a central character or protagonist, and in the overarching story of the Bible God is the protagonist. He is the unifying presence from the beginning of the Bible to the end. All creatures interact with this central and ultimate being. All events are related to him. The story of human history unfolds within the broader story of what God does. The result is a sense of ultimacy that comes through as we read the pages of the Bible. The subject of literature is human experience, and this is true of the Bible, too, but a distinctive feature of the Bible is that it overwhelmingly presents human experience in a religious and moral light. Events that other writers might treat in a purely human and natural light—a sunrise, a battle, a birth, a journey—are presented by the authors of the Bible within a moral or spiritual framework. Part of this moral and spiritual framework is the assumption of the biblical authors that a great conflict between good and evil is going on in our world and, further, that people are continually confronted with the need to choose between good and evil, between working for God’s kingdom and going against God. Every literary anthology of the Bible’s magnitude displays a range of literary forms, but the Bible’s range may well top them all. We need to be alert to this, because the religious uses to which we put the Bible can easily lull us into assuming that the Bible is all one type of writing. The list of individual forms, if we include such specific motifs as the homecoming story or trickster or love poem, keeps expanding. The variety that we find in the Bible stems partly from the large categories that converge—history, theology, and literature, for example, or prose and poetry, realism and fantasy, past and future, God and people. While the New Testament contains a great deal of theological writing, the general preference of biblical authors is for concrete vocabulary. This is especially true of the Hebrew language of the Old Testament. In the Bible, God is portrayed as light and rock and thunder. Slander is a sharp knife. Living the godly life is like putting on a garment or suit of armor. Heaven is a landscape of jewels. To read the Bible well, we need to read with the “right side” of the brain—the part that is activated by sensory data. The prophetic and apocalyptic parts of the Bible give us a steady diet of fantasy (flying scrolls, for example, and red horses), but the general tendency of the Bible is toward everyday realism. The Bible displays the flaws of even its best characters (Oliver Cromwell famously said that the biblical writers paint their characters “warts and all”). Although the Bible does not delineate the sordid experiences of life in the extreme detail that modern literary realism does, it nonetheless covers the same real experiences, such as violence, murder, sexuality, death, suffering, and famine. Of course the Bible differs from modern realism by showing us that there is a realism of grace as well as a realism of carnality. In other words, the Bible is not content to portray the degradation of a world that has fallen into sin without also portraying the redemptive possibilities of a world that has been visited by the grace of God and is destined for glory. Although the Bible is certainly not devoid of examples of the high style, especially in the poetic parts, its overall orientation is toward the simple. The prevailing narrative style is plain, unembellished, matter-of-fact prose. Shakespeare’s vocabulary is approximately twenty thousand words, Milton’s thirteen thousand, and English translations of the Bible six thousand. Biblical writers often work with such simplified dichotomies as good and evil, light and darkness, heroes and villains. Of course there is a simplicity that diminishes and a simplicity that enlarges. The simplicity of the Bible paradoxically produces an effect of majesty and authority. The Bible is a book of universal human experience. It is filled with experiences and images that are the common human lot in all places and times. The Bible embraces the commonplace and repeatedly shows ordinary people engaged in the customary activities of life—planting, building, baking, fighting, worrying, celebrating, praying. The world that biblical characters inhabit is likewise stripped and elemental, consisting of such natural settings as day and night, field and desert, sky and earth. Even occupations have an elemental quality—king, priest, shepherd, homemaker, missionary. Even though the Bible that we read is a written book, in its original form much of it existed orally. This is true because ancient cultures were predominantly oral cultures in which information circulated chiefly by word of mouth. The literary forms of the Bible show this rootedness in an oral culture. The prevalence of dialogue (directly quoted speeches) in the Bible is without parallel in literature generally until we come to the novel. Everywhere we turn in the Bible, we hear voices speaking and replying. The spare, unembellished narrative style of the Bible arises from the situation of oral circulation of the stories. Additionally, many of the nonnarrative parts of the Bible show signs of oral speech—the prophetic discourses and oracles, the psalms (which were sung in temple worship), the epistles (which were read aloud in churches), and the Gospels (where the words of Jesus are a leading ingredient). When we read Shakespeare or Dickens, we find ourselves moved to agreement or disagreement, but we do not ordinarily feel that we have been confronted by someone or something that requires us to make a choice. By contrast, when we assimilate the Bible we feel as though we have been personally confronted with something that requires a response. While this choice is ultimately for or against God, the ideas of the Bible, too, require us to believe or disbelieve them. The Bible displays a vivid consciousness of values—of the difference between good and evil—with the result that it is virtually impossible to remain neutral about the ideas that confront us as we read the Bible. Interested in learning more about the literary aspects of the Bible? 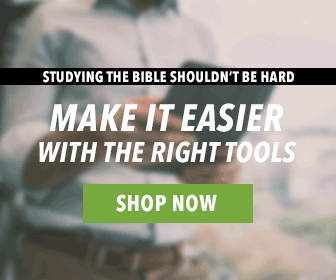 Check out this resource in our store: The ESV Literary Study Bible! In fact, the content of this blog post comes straight from the introduction of this resource.